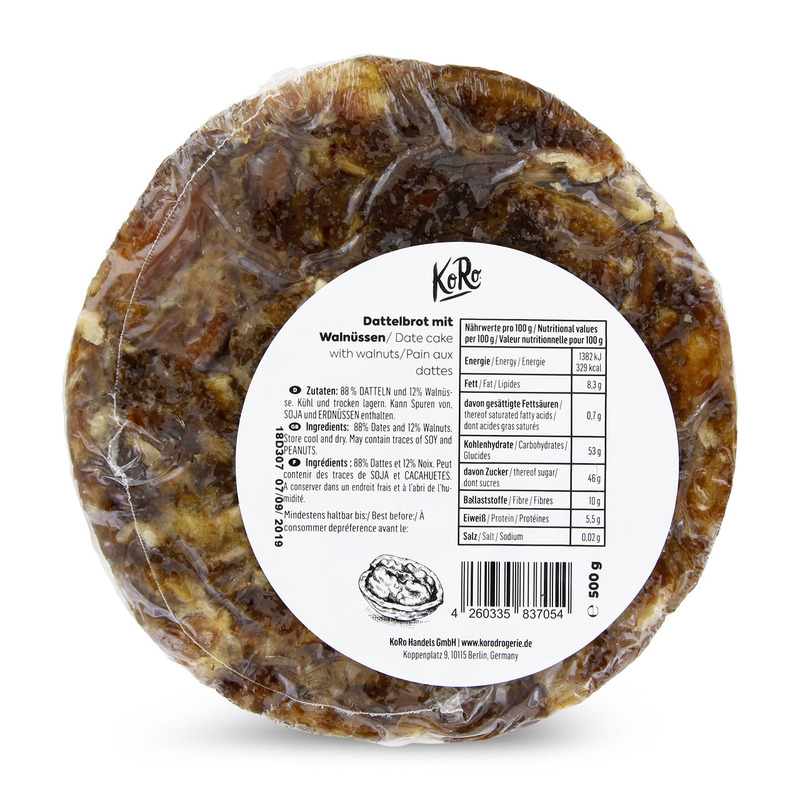 A tasty alternative to the classic cake with 88% Dates and 12% Walnuts. Like Ying and Yang. Finally the two lovers meet. 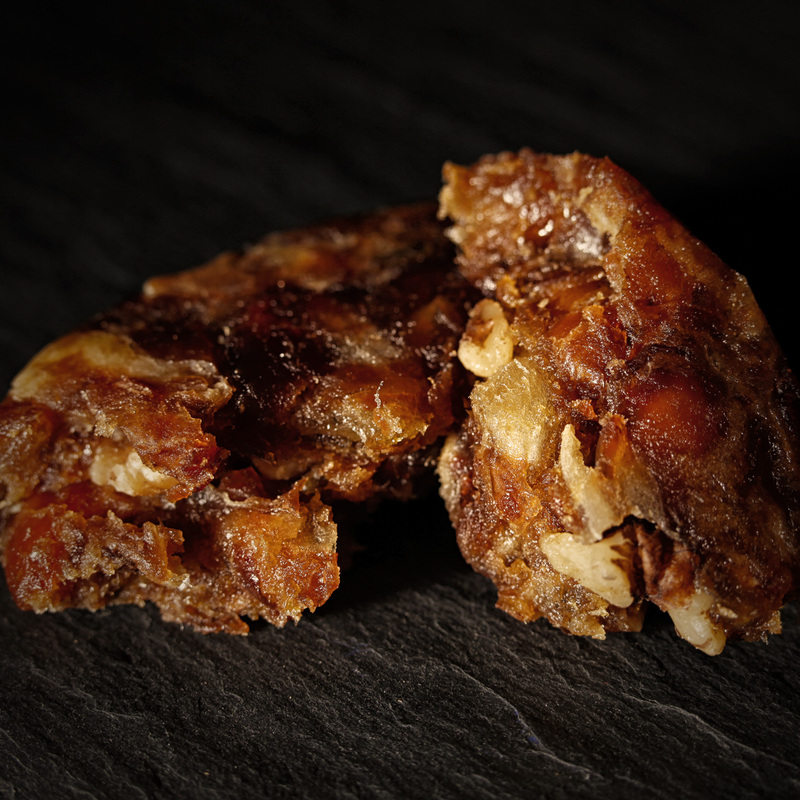 The sweet and honey like Deglet Nour Dates and the herb Walnuts are coming together to create the Date and Waltnut cake. From the arabian desert, this beautiful taste expirience comes directly on to out coffee table. The fresh Dates are originally directly pressed into a cake form. The kind "Deglet Nour" is from the subtropical areas. They are the fruits of the date palm. They are also called the "sweet bread of the desert". In combination with the gold brown Fruits, the fresh Walnuts from California are making this the perfect date cake. Not only in the arabian area are people crazy about the cake. In Spain, the cake is already super popular as part of a cheese platter. And also for athletes the natural energy deliverer is a perfect snack. Allergene Kann Spuren von, SOJA und ERDNÜSSEN enthalten. What does a date cake contain? 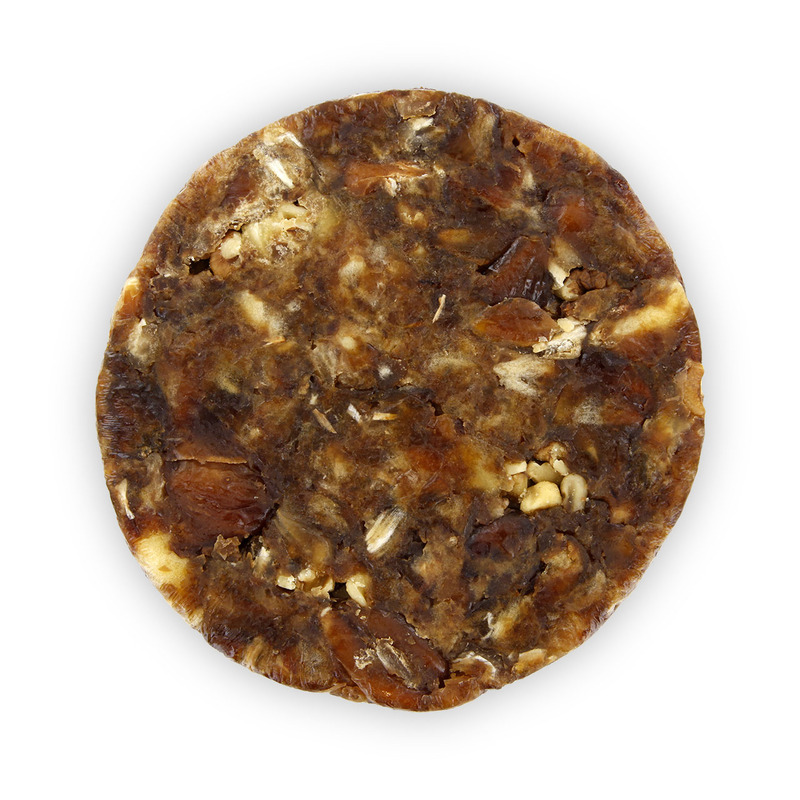 A date cake is 100% natural. 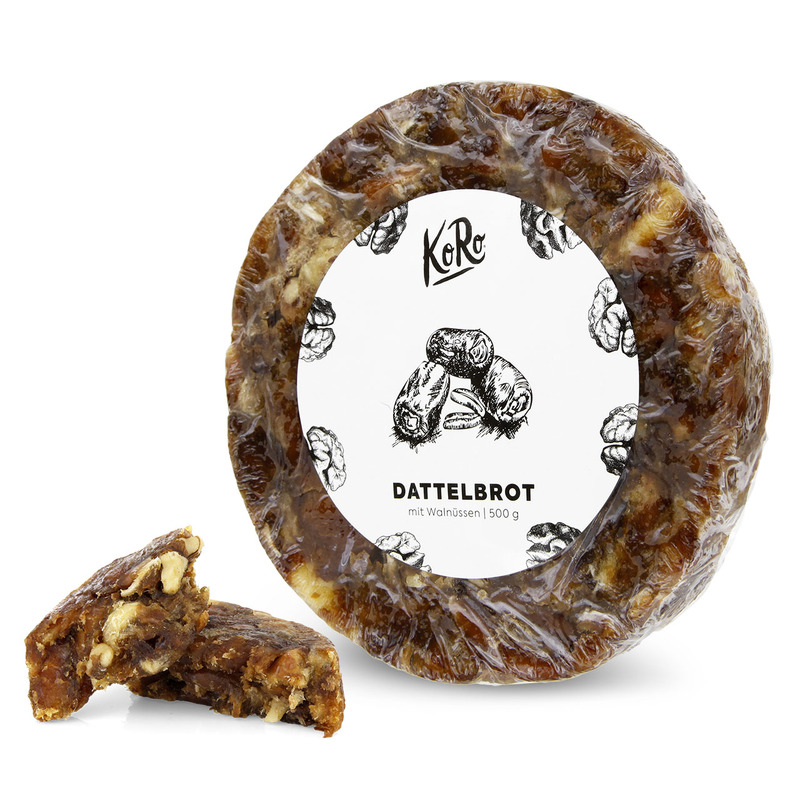 It contains 88% dates and 12% walnuts. Where should I store the date cake? The cake is best stored in cool and dry places. Once open, it's best to store the cake in the fridge, to make sure it's longer fresh. Je n'avais encore jamais goûté de pain de dattes... c'est vraiment une belle découverte ! Le goût des dattes Deglet Nour mélangé aux noix est un vrai délice ! 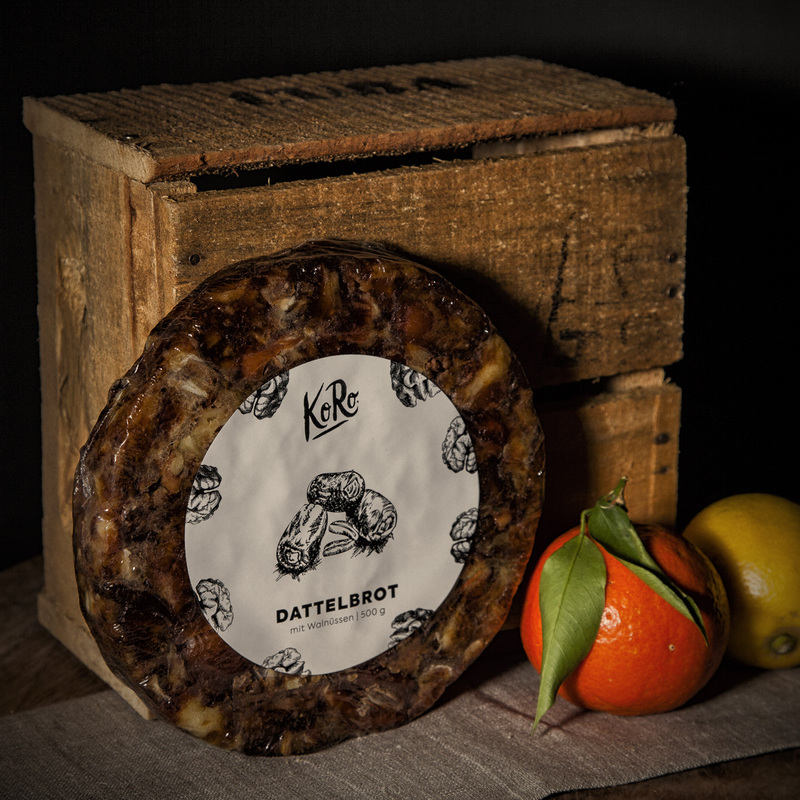 Nachdem ich schon mehrere Dattelbrote ausprobiert habe, hat mir das tatsächlich am besten geschmeckt. Ich finde es super, dass die Walnüsse teilweise noch ganz sind - so schmeckt man den nussigen Geschmack bestens heraus. 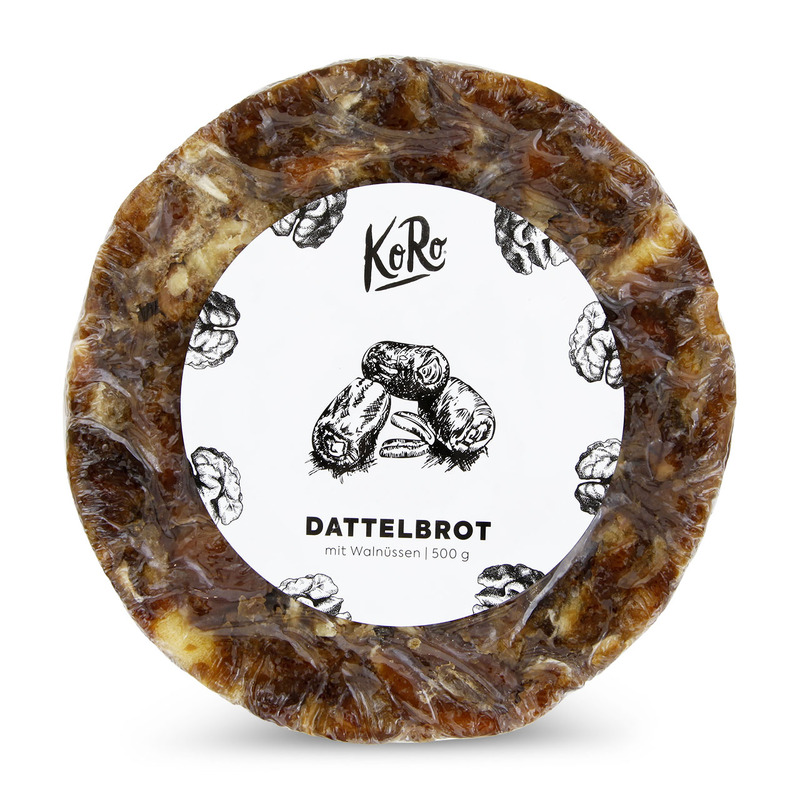 Ein leckeres Dattelbrot mit guter Konsistenz. Man kann sowohl die Datteln, als auch die Walnüsse super herausschmecken!